Technical writing requires both an in depth understanding of technical concepts, combined with an ability to transform highly jargon ridden instruction into clear, concise and easy to read copy. As the world of content production changes, there is a growing demand for skilled technical writing across a range of industries. You want your content to exude authority and expertise, but, you still want people to understand it. The fact is, when you learn to create engaging technical content, you are gaining a better understanding of your product or service. From our years working with technical wizards, engineering doctorates and mining authorities, we’ve picked up some tips for getting your technical writing right. This may seem obvious to some, but it is surprising how many times people start rambling before they bed down what it is they want to say. Because technical writing requires such sophisticated knowledge and expertise, knowing your purpose becomes crucial. Technical experts often get caught up in the detail, the functionality or the system itself and consequently lose sight of what this content is meant to achieve. Why are you creating this document? Where is it going? What do you want this document to achieve? At every stage of the writing process, come back to these questions and ensure that your content continues to address your overall purpose. Whether you’ve been creating compelling copy for 20 years, or you’ve never put pen to paper with any confidence, your audience is your number one priority. When you understand your audience, you can effectively cater your writing to meet their needs and capability. This is especially true for technical writing. Your content will often be filled with complicated explanations and functionality breakdowns and by knowing your audience, you can aptly adapt the level of explanation your content requires. There is no doubt that you are the expert in your field. You need to understand the level of technical knowledge your audience has to ensure you are neither too simplistic nor too complicated. We often extol the virtues of stripping away your jargon to create effective content. No matter what you are talking about, getting caught up in the industry lingo will only serve to limit the value of your content. If you work in a technical industry, chances are, you’ve spent the better part of your career building your technical vocabulary and learning to understand the hundreds of complicated phrases and definitions that are specific to your industry. Your audience will likely not have done the same thing. Where possible, simplify your language, and even adopt Plain English. Even other experts in your field will appreciate the clarity of your content. Use visual representations to complement your explanations. Tables, charts and graphs can be an impactful way to illustrate your point and show your audience more clearly. You are likely dealing with highly convoluted concepts or practicality and it can be very easy to lose your audience as a consequence. Don’t put your audience to sleep with paragraph upon paragraph of heavy text. Don’t just tell them, show them. It is critical that any technical writing you publish in your industry is referenced properly. Know where you got your information, and back it up wherever possible. There are two main reasons for this. The first is that many incredibly hardworking experts spent a lot of time researching, studying or creating compelling information, and just as you deserve the credit for your hard work, so do they. Acknowledge, reference and credit your sources in a valid and tangible way – don’t throw to a Wikipedia link because you can’t be bothered to find the publication details of their book. The second is purely self-satisfying. When you reference your sources properly in technical, as with academic writing, you are illustrating your knowledge, expertise and credibility. You will build trust and loyalty with your audience. Many technical writers spend so much time explaining their concepts that they forget to give any context. Particularly when dealing with something that is highly confusing or convoluted, give an example. Show your audience a practical illustration of your explanation and you will find they connect with your content on a deeper level. The interesting thing about technical writing is the added value of consulting both technical experts and objective communicators. You’ll naturally consult with other experts to ensure the technical specs are accurate. It is equally important with content, to engage a non-technical reviewer, writer or editor. Their objective eye can help pull out the salient points, clarify the complexities and check your overall language. Why should you invest in content marketing? Whether you’re curating the best of the best or creating sassy, original and valuable content, content marketing is now a crucial part of any successful business. Sure, we’re peddling our own service here, but for good reason. Traditional advertising has transformed so significantly over the years that even advertising agencies have had to widen their own definitions of what is an ad. We know now that human beings connect to one another through storytelling. We are seduced by an emotive tale, sucked in by a controversial anecdote and sated by a juicy saga. We love the journey, and as it turns out, we want our service providers to take us on that journey before we are willing to part with our well-earned dollars. 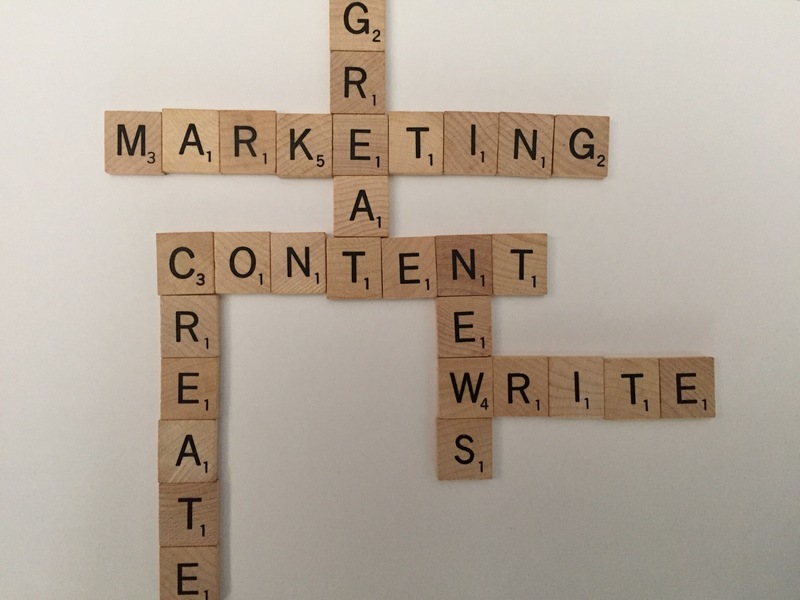 What does content marketing even mean? We are thrown so many buzzwords a business quarter, it can be a struggle to keep up. One minute you’re trying to prove your business cred by sprouting the latest word mash up, the next you are erasing any mention of the newly established pretention indicator from your communications. Those of you unfamiliar with the idea or practical realisation of content marketing might be wondering if this, too, is just a phase that is going to drain your bank with little or no return. For those doubters out there, we hate (ok we kind of love) to burst your bubble, but this approach in some iteration or another is here to stay. Basically, it’s a way of taking your audience, clients, partners and customers on a journey through useful, insightful and engaging content. I’ve been doing it old school for years, why change now? You’ve followed the same tried and tested path for years. Why would you want to change your approach? Well, for starters, we the consumers, expect it. We don’t want promotions shoved in our face with nothing in return. We get bored when we realise we’ve been tricked or pushed into a sale. We want relationships and we want something from you in return. We want you to show us you’re invested in us. Content marketing is the way to show your investment, while simultaneously showing off your own skill and value in the market. What will I get out of investing in content marketing? The key to content marketing is getting it right for your brand and industry. Following a blind path set out by the thousands of ‘experts’ can often be more harmful than anything else. There is a lot of shoddy content flowing through our inboxes every day. Don’t create for the sake of creating. Work out who you want to tell the story to. Who is your audience? Are they current clients, customers, potential partners? Understand your audience and your story will flow from there. Work out a way you can be consistent. Is your chosen approach sustainable? If not, why not? What can you change to ensure that it is? Do you need help? You are the expert in your industry, but you may be unsure how to communicate that knowledge. If you don’t have dedicated content experts on staff, invest in content experts who will get to know you, your brand and your ultimate message. Content marketing can be a scary concept if you’re starting from scratch, but when you invest in great content, engaging stories and valuable assets, you’ll no doubt connect with your audience. A friend and I have conducted a little experiment over the last few months. The results were pretty eye-opening. I wrote the first draft of a novel. Yep, an entire novel. She has found time in her days to focus on her creative writing in a way she hasn’t done for years. It may not be new to all, but for two young mothers, of boisterous and energetic toddlers, we are pretty proud of ourselves. The cool thing is we have realised it doesn’t have to be confined to writing. I want to give you just a teaser of the program we mapped out for ourselves that changed our perspective, our time management and our motivation. It is so very easy to stubbornly declare that there is no time. How could I possibly fit that in when I have a child, a job, a relationship? Yet somehow we all still manage to keep abreast of our favourite TV show. Why? Because they exist in 30-40 minute increments. We went through this exact process. Wildly jealous and awed by the friends we have writing books, composing symphonies and running businesses on the side, we were caught up in our own lives and the excuses we created every day. How do they do it? They must never sleep. They must never see their children. They mustn’t have jobs. We couldn’t possibly fit anything else in we lamented. While engrossed in the latest episode of Once Upon a Time (yes, I genuinely enjoy it), my thoughts were racing. My protagonist has that trait. Ooh, my bad guy could have a similar back story. My plot would be different for these reasons. If only I had the time to explore them. Then my rambunctious two-year-old would bound into the room, ready for some drawing and train track building. Yet, I claimed to be a writer? A creative? Naturally, I had to complain to my equally time-poor mummy writer pal about this. All the while, logging into the ultimate time vacuum that is the social media. Don’t get me wrong, I’m all about the socials. I think their value in business and communication as whole is extraordinary. In fact, I will be addressing some of those values in an upcoming blog. But it certainly takes up a LOT of time. It was amidst these laments that it occurred to me. A realisation that many successful people before me have come to. I don’t really need more time. In a world designed to appease the desperate impatience we’ve come to embrace, binge-watching, 24-hour news and instant gratification have become the norm. No longer can we wait week on week for the latest episode of our favourite show. Somewhere along the way, we lost the excitement of anticipation. We lost delicious seduction of a teaser, in favour of an immediate climax. We’ve come to need that satisfaction now and in full. If we can’t have it all right now, then we don’t want it. This hugely short-sighted attitude is what led me, my friend and many of you to the inaccurate conclusion that we just don’t have time. As Australian network TV finally catches up and fast tracks a handful of key shows, I have learned, once again the value of patience. I don’t have to write a novel in a day. I don’t need to quit my job and wait for my son to go to school. My mummy friend and I realised, that all we needed was 30 minutes. 30 minutes and a little bit of accountability. The result was unexpected. Naturally, I thought I might achieve a little more if I approached my projects in a different way. What I didn’t expect was such a profound shift in my approach to everything. About a quarter way through our first experiment, we started to see things we’d never seen before. Time was no longer our master, but rather we channelled the powers of the Doctor and realised we were our own time lords. In a bid to encourage you, dear reader, to change the way you see time and consumption, I am not going to give away everything at once. As much as I would love to minimise the competition, if you’ve got a book, a symphony, a creation of any kind inside, this may just help you pull it out. If you, like us, are impatiently claiming that it is time that steals your great creation, tune in for Part II.